No Clients is a Melbourne-based design practice specialising in typography, type design, web development, editorial design, and graphic and exhibition identities. No Clients is founded upon an interest in self-initiated projects that pose questions and provocations around its practice. 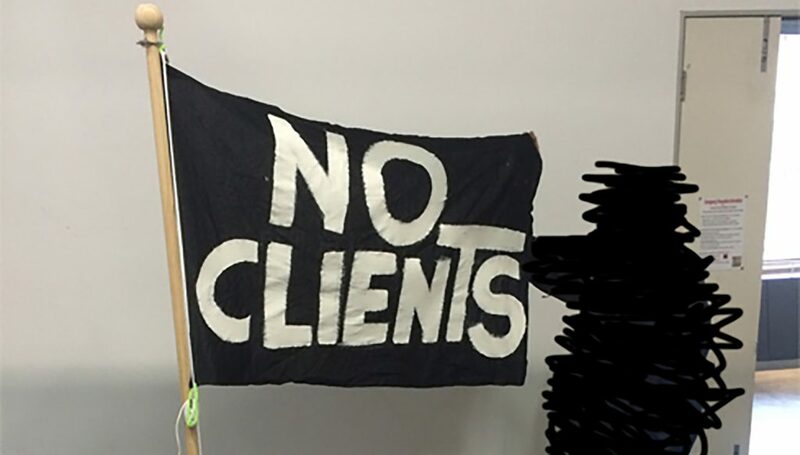 As the name suggests, No Clients does not work for clients—rather, it collaborates with artists, architects, designers, writers, editors, publishers, activists, curators and those who are invested in engaging with a critical dialogue about their work and the broader cultural implications it may have. No Clients is also interested in the discourse around modes of publishing and operates as a commercial risograph printing press. Its founding members are Samuel Heatley, Robert Janes, Ned Shannon, and Beaziyt Worcou. MMeets What would the MPavilion flag look like?